Have you heard (or said) statements like these? I’m sure you get the point. We often prefer being around people who we perceive to be just like us … or at least so much like us that we don’t really have to extend any effort to understand them. Or to be understood. Unfortunately, that’s not how it is at work and in many other settings we find ourselves in on a regular basis. We is “first person plural” not “one person plural” (which would be multi-personality disorder) or “same person plural” (which would be cloning). First person plural means there are a group of people who are engaged together in some task or activity. First person plural means there is a group of people who act as one or who choose to share an identity. But it doesn’t mean they are all the same. In this Preamble to the Constitution of the United States there is a great reminder that differences exist AND we can choose to join together with those who are different from us in many ways but have a shared role, goal or watering hole. So this week at work, or in your community, take a look around. Are you surrounded my near-duplicate versions of yourself? Or do you surround yourself with people who are different in many ways? Do you tend to identify with “we” as being engaged with many versions of yourself? Or do you experience “we” as a kaleidoscope of differences coming together for a common good? You and I are different. And unique. And valuable. Combine our talents, our gifts, our perceptions and our experiences and you’ll experience the transformation from me and you to we. This is a great time to confirm you 2014 Q1 Diversity Council Orientation or Retreat! Your deposit holds your date and begins the planning for a customized session designed just for your needs! We have a new 3-part series coming up in May and June. It’s focused on how to help line leaders become really effective champions for diversity and inclusion. Imagine knowing exactly what to do to get managers in your organization to be champions for diversity and inclusion. This 3-part series will allow 3 weeks between sessions to give you time to consider and apply the concepts presented. You will be encouraged to submit specific questions between sessions. And, the audio from each session will be recorded so you can review it at your convenience. 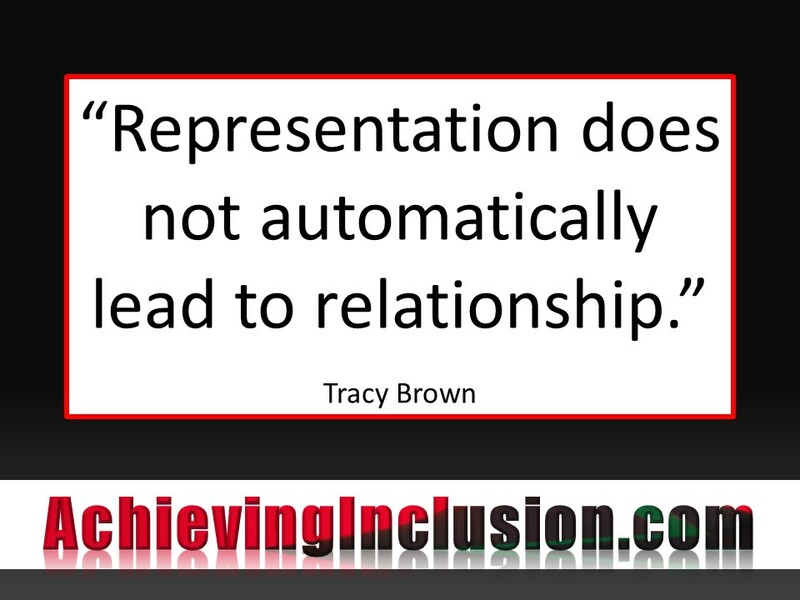 Class 1: What is a Diversity Champion and Why Should I Be One? Class 2: I’m Already Too Busy … How Can I Integrate This With My Job? Class 3: How Will I Know I’m Making a Positive Difference? How Can I Measure My Progress?